Helping others helps me heal. 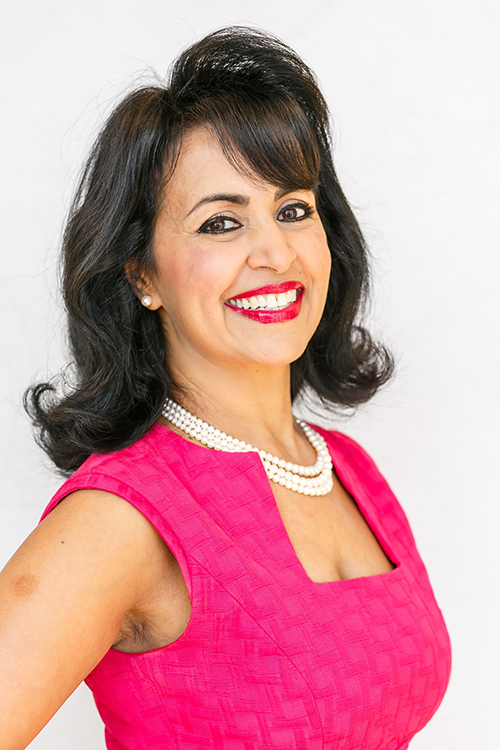 Gayathri is the Founder and President of ASHA International, a nonprofit organization promoting personal, organizational, and community wellness through mental health education, training and support. She is also the author of Shadows in the Sun: Healing from Depression and Finding the Light Within. Her successful battle in overcoming debilitating depression taught Gayathri the power of hope and holistic wellness. Now, she shares that message with others. Since the launch of ASHA International’s wellness campaign, Healthy Minds, Healthy Lives in 2006, Gayathri’s keynotes, wellness workshops, and cultural competence trainings have reached more than 50,000 people nationally and internationally with a resounding message of hope and recovery. Individuals and organizations alike applaud Gayathri as an agent of hope and transformational change. Gayathri received her first undergraduate degree in science from Bangalore University in India. She earned a second undergraduate degree in Management and Business Information systems and a Master’s in Business Administration at George Fox University in Newberg, Oregon. She is a Certified Peer Specialist (CPS). And, serves on the Advisory Board of the Movement for Global Mental Health. Gayathri is the winner of many prestigious awards including the Eli Lilly Welcome Back Award for Lifetime Achievement, the Voice Award for Consumer Leadership sponsored by the Substance Abuse and Mental Health Services Administration, Outstanding Alumna Award from her alma mater George Fox University, the Esperanza Hope Award, and the Lifetime Innovator award presented by the International Association of Peer Supporters. In 2017, Gayathri was awarded the Mental Health Hero award by Trillium Family Services. Gayathri, your presentation to our Employee Assistance Program Association Chapter was not only moving and inspirational, but very helpful to understand the way that mental illness and our services may be perceived from a different lens. Most of us in the field take great pride in the illusion that we are totally non-judgmental. It is only through regularly attending workshops and trainings like this that we are forced out of our comfort zone and can continue to be challenged to see the world as others experience it, and to be willing to be enlightened. Thank you so much for helping me to appreciate more clearly elements of the South-Asian perspective, and how I can be a more culturally competent professional. Clinician & Management Resource Consultant, E4Health Inc.